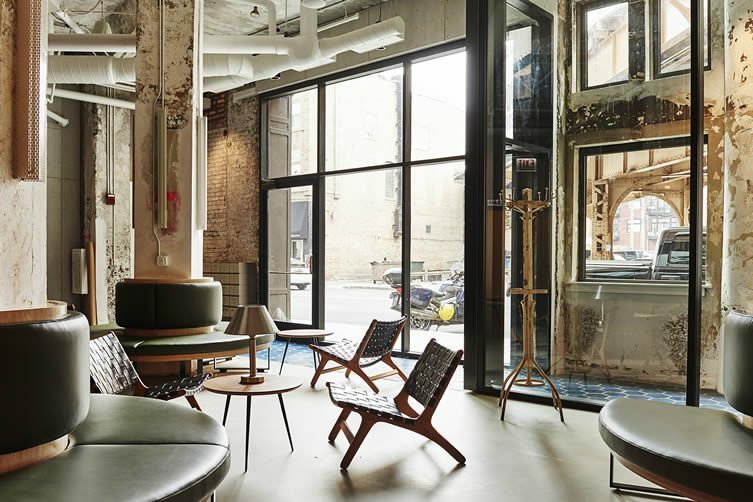 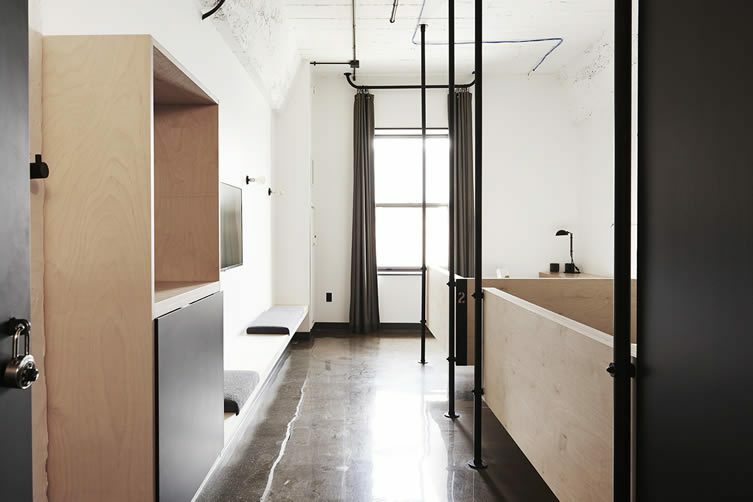 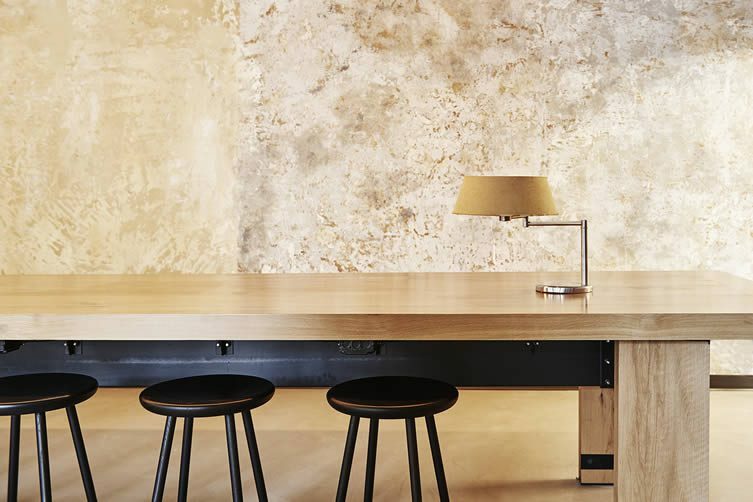 Found in Chicago’s renowned Wicker Park and Bucktown neighbourhoods, The Hollander — set in the historic 1905 five-story brick Hollander Fireproof Warehouse — is surrounded by a nexus of creative energy; local street fashion; the arts; and a cutting-edge hospitality scene. 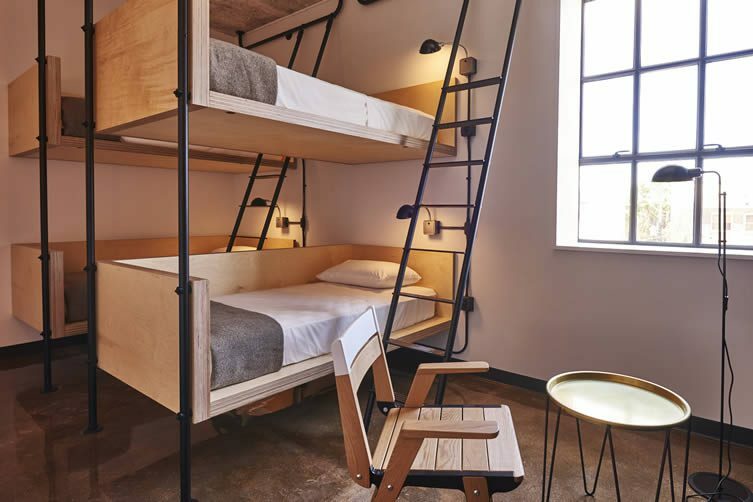 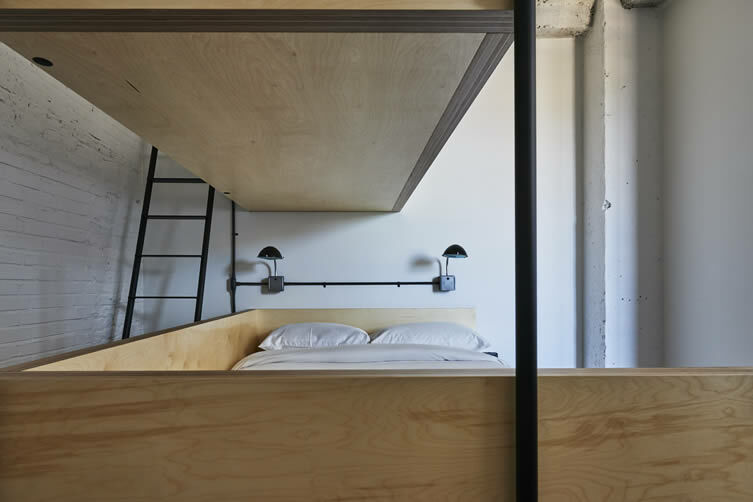 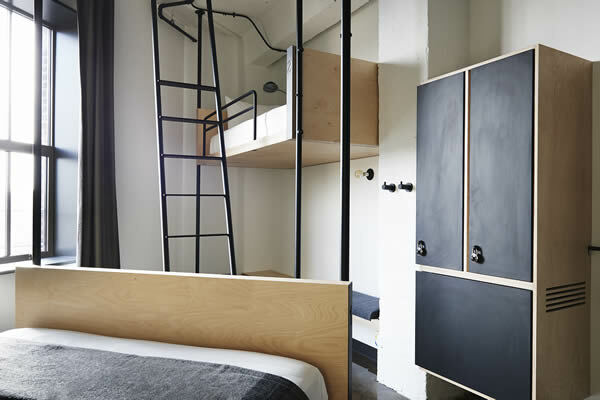 The Grupo Habita (who are behind Mexican hits like Puebla’s laid-back La Purificadora and surfer’s paradise, Hotel Escondido) hotel/hostel concept boasts 66 guest-rooms, with solo travellers able to take advantage of a ‘Social Stay’; a hip hostel sleeping arrangement featuring handmade bunks beds, WiFi, en-suite bathroom, and ability to connect with those you’ll be sharing with via Instagram. 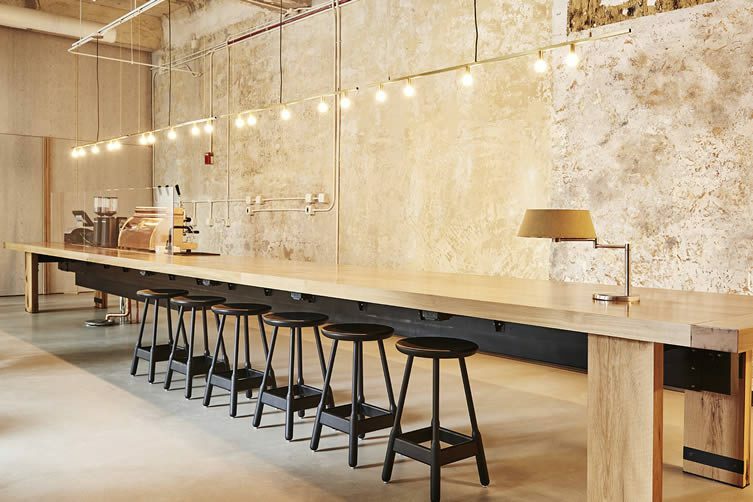 Chicago’s third wave coffee crew Metric Coffee Co. provide your necessary caffeine hit in an industrial setting, the lobby resplendent with wonderfully fashion-mag-ready scraped-back walls and retro design chairs; Banker Supply Co. offer bike rental for those preferring to pedal over taking the city’s famed L train (short for elevated, fact fans); and — as has become expected of Grupo Habita — top class amenities are on hand, this time courtesy of natural skincare brand Beesential.